In continuing to provide the direct download links for major Adobe products such as Creative Cloud, CS6, Acrobat DC, Elements 15, and Lightroom 6/CC, below you’ll find the DDL for the brand new just-released Adobe Flash Player 11.9 (the final version). This is important because the free Flash Player is the most widely-used and often-downloaded software in world, and some folks find it easier to access it quickly and directly, without a download manager (e.g., Akamai), or with their own DLM, and without additional products or toolbars included. Check your current Adobe Flash Player: What version are you running now? So, without further ado, here are the direct download links – just click to download and install. Note that beginning with version 11.3, the universal installers for Mac and Windows browsers have included both the 32-bit and 64-bit versions of the Flash Player. For each previous release provided there (after the “Developers only” section), you will find direct download links to packages containing installers for both Internet Explorer (IE) browsers (labeled with “ax” for Active X), as well as non-IE browsers (Firefox, Safari, Opera, etc). These installers are given for both Windows (.exe or .msi) and Mac OS (.dmg). Uninstallers are also included in the bundle. Adobe Flash Player is a pervasive cross-platform browser-based application runtime that delivers uncompromised viewing of expressive applications, content, and videos across screens and browsers. Flash is the standard for engaging PC experiences – 99% of PCs worldwide have Flash Player installed and 85% of the top 100 websites use Flash. 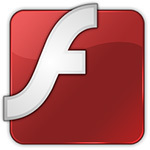 Approximately 75% of online videos are viewed and 70% of web games are delivered using Adobe Flash technology. More than 3 million designers and developers use the Flash Platform to deliver expressive content and applications that run consistently across the widest reach of browsers, operating systems, and devices. Learn more about Flash Player and the new features in the current version. Hi. Flash Player was updated yesterday (Aug 11, 2015), but with the increasing number of different browsers and device form factors that Flash Player supports, I’m left bewildered by which direct link executable I require. I don’t wish to get an online installer from http://get.adobe.com/flashplayer. I prefer direct links. (1) Are the .MSI and .EXE identical (other than the file extension) ? (2) Are the Windows files for IE for use with Windows 8.x and Windows 10 (because I read that Microsoft now takes responsibility for Flash Player updates) ? (3) Does the single Mac .DMG file support all browsers on the Mac (i.e., Safari, Chrome, Firefox) ? (4) What’s the difference between the URIs that do not indicate the version number and those that do [e.g., difference between (b) and (c), and between (e) and (f)] ? (5) Are the above URIs I’ve listed above from the Extended Support Release (ESR) branch or normal non-ESR branch of Flash Player (ESR only updates for security vulnerabilities and no new features are added) ? (6) What are the URIs for the other branch of Flash Player that are not listed ? It’s no wonder IT journalists and pro-HTML5 video supporters have been continuing to hope Flash sooner rather later is consigned to the history books. Well, you should be able to use the .MSI and .EXE installers interchangeably. As for your other questions – the newer versions of Microsoft’s Internet Explorer browser (like IE versions 10 and 11), as well as the new Edge browser for Windows 10 both have the Adobe Flash Player already built in… So does Google Chrome. In all those cases, the system or browser itself is responsible for keeping Flash up-to-date. The only major web browsers that don’t have Flash built-in are Firefox and Apple Safari. But generally these days, if we’re looking for the direct download links to any Flash Player version – including the current one – we just use the Adobe Flash Player Download Archives instead. flash player is useful for all video especially youtube.